Everyone knows, high-fructose corn syrup-laden soda is bad for them. It’s brutal on dental work, a major cause of obesity and, in general, a health risk to those who make it a regular habit. The argument has been present for years, but has become more profound in recent years. So while some still reach for sugary pop, a whole army of early adopters are stocking up their fridges with sparkling water, and the numbers confirm it. The sparkling water market has shown considerable growth of late. According to Signals Analytics, the category enjoyed growth of 29% in 2015 and continues on a pretty aggressive trajectory here in the United States. America is late to the party though- consumers in Asia and Europe have long integrated carbonated water into their daily lives, latching on to bubbly brands and new concepts like Soda Stream, in droves. Euromonitor notes that the US sparkling water market is just $4 billion compared with the $39 billion we spend in soda, but it’s growth numbers are quite impressive, nonetheless, and new concepts like La Croix, Spindrift, ICE and others abound. 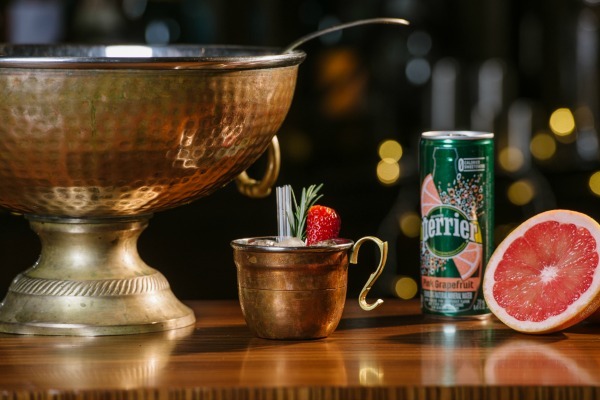 Market leader Perrier is boosting their flavored sparkling water offerings and putting together “refreshing” new programs to boost brand awareness, which we find quite clever. 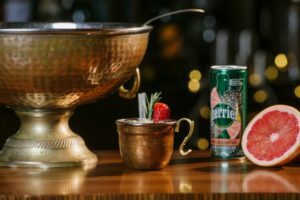 Stay at a Renaissance Hotel and experience Perrier’s first hotel partnership featuring pop-up Bubble Lounges and 24/7 punch bowls, smoothies and curated cocktails made with sparkling water. 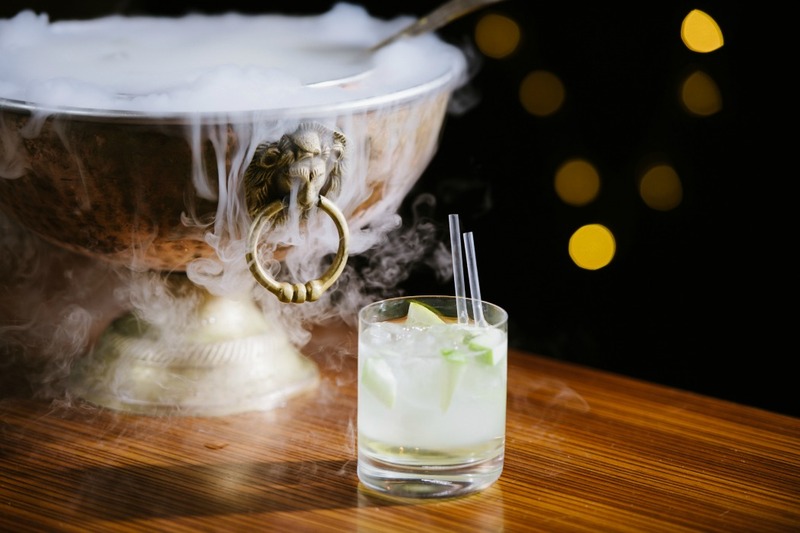 The cocktails, like the bourbon-based Blinker Punch(above) , look delish, but I’m particularly impressed with how they’ve embraced non-drinkers with offerings like Green With Envy, a yummy refresher fusing flavors of apple, ginger and cucumber together (pictured top). And speaking of flavors, the sparkling water options are amazing. Grapefruit, green apple, coconut, blackberry, watermelon, apricot, passion fruit…the list rolls on and on. Most all brands and flavors are zero or low calorie, which make hydration AND rapid consumption totally embraceable. We predict more innovation in sparkling to come in the very near future, with concepts spilling over into brand extensions and other complimentary consumer products, for sure. Cheers!